Unappealing title, huh?1 Luckily, though chapstick is a key ingredient in this cookie recipe, no chapstick actually goes into the cookies. 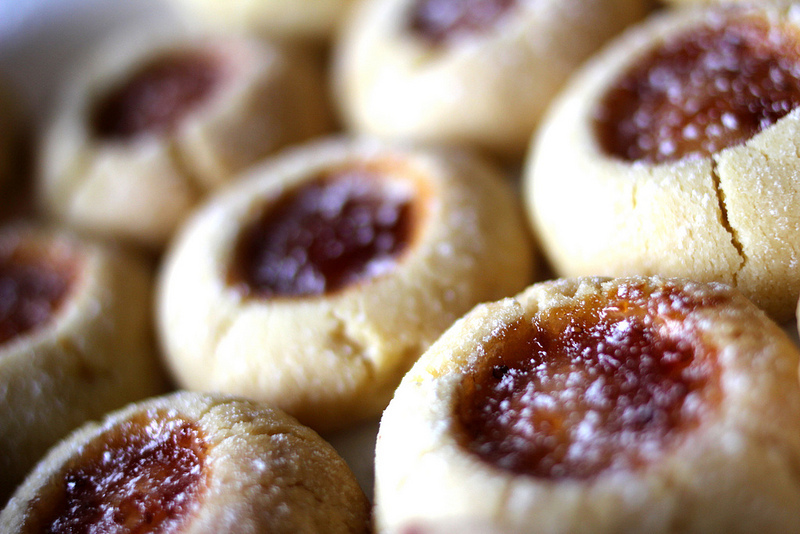 Butter, flour, almond, sugar, and jam make these bite-sized shortbread cookies lip smackingly good. Preheat your oven to 350°F (180°C). If you have a convection (fan) oven, preheat to 300°F (150°C). In a medium sized bowl, cream together butter and sugar until smooth. Mix in the almond extract. 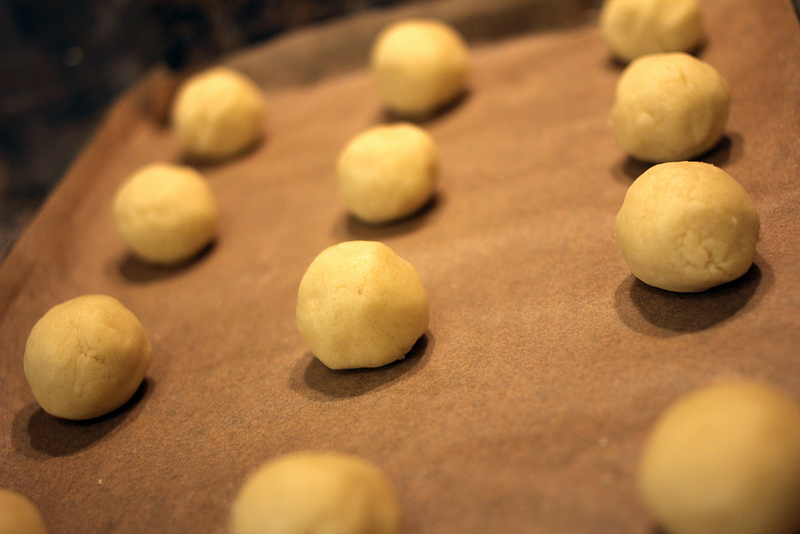 Add flour gradually until the dough reaches a clay-like consistency. Don’t put in too much flour4 and be sure not to overwork the dough! 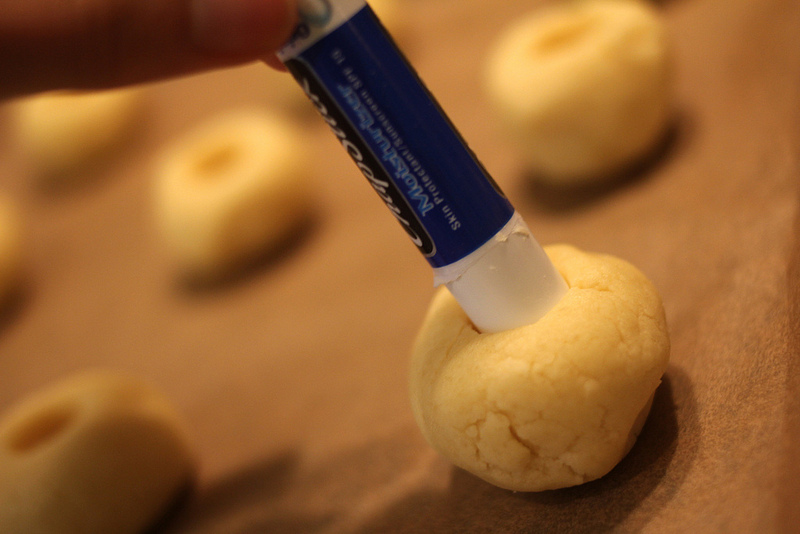 Roll the dough into 1-inch balls, about the diameter of a quarter, dirham, or euro coin. Without flattening, press a hold in the center of each ball with your chapstick tube or similar cylindrical instrument. Each indentation should be about halfway into the ball. 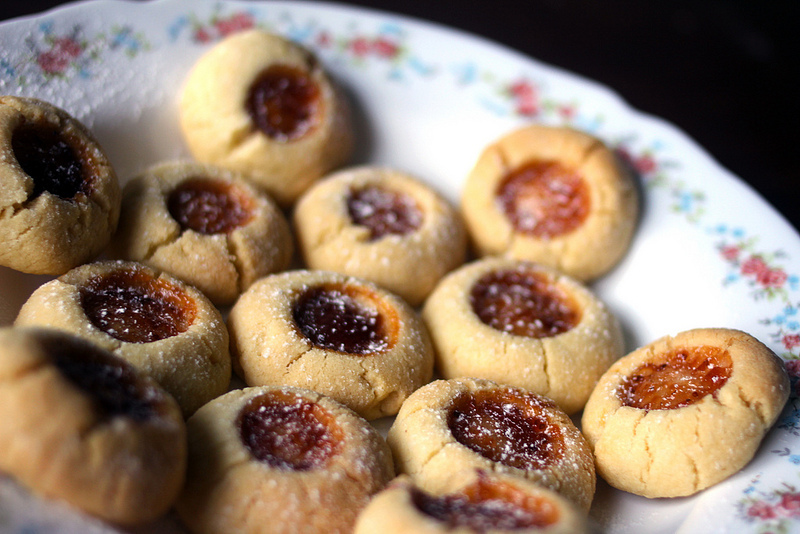 Fill each hole to the top with jam, being careful not to let it overflow. Chill your baking trays in the freezer for ten minutes to stiffen up the dough, then bake for 15-20 minutes in your preheated oven. 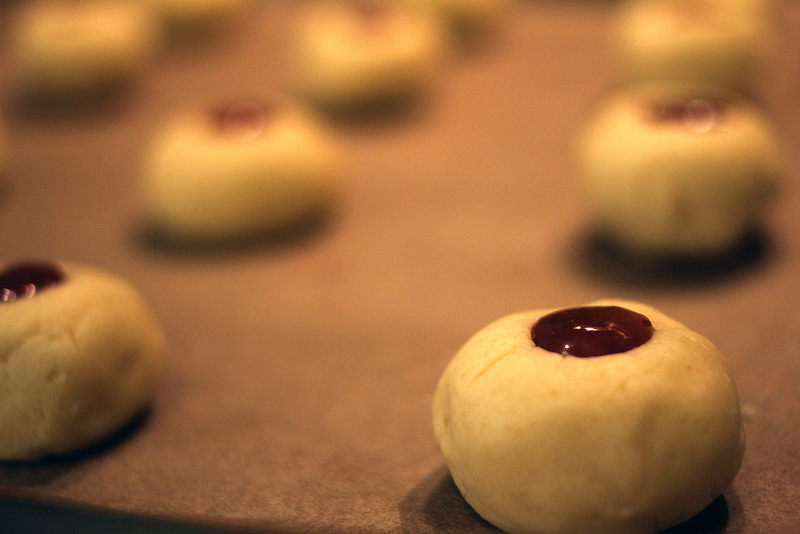 Cookies should still be soft and light in color when finished, but will harden as they cool. Mine cracked a little, but I didn’t really care. Sprinkle lightly with confectioner’s sugar, then hide them somewhere so you don’t have to share. Makes at least 24 bite-sized cookies.